Sorry, No Room Available For Booking. The Ramada Jerusalem Hotel is located near the western entrance of Jerusalem; the hotel was built in 1984 and covers an area of about 20 dunams. The rooms overlook a magnificent and breathtaking urban view of Jerusalem; on its southern side, the hotel is facing the newer neighborhoods of Jerusalem bringing a new enthusiasm to the older neighborhoods. 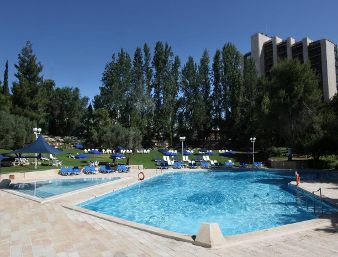 Because of its western location to Jerusalem, which provides the cultural fabric and uniqueness as the capital city, the hotel’s setting allows easy access to the government complexes, the Supreme Court, the Israel Museum and other sites in the city. In close proximity to the hotel, is located the light rail ”CityPass” station which runs from Pisgat Ze’ev, through the city center, to Mt. Herzl and back with maximum comfort and speed. Our 360 rooms are comprised of suites, business rooms on the two highest floors and many upgraded rooms that allow ideal accommodations for couples, singles, families and groups. 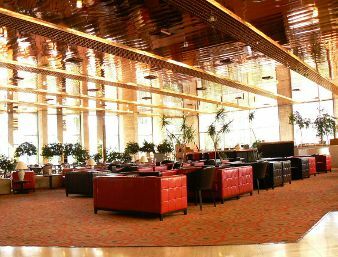 The hotel has banquet halls suitable for meetings, trade shows, family celebrations and conferences with many participants. In addition we offer an active lobby with a dairy restaurant, lounge area with bar and an exclusive meat restaurant. For all those requiring high kosher standards they will find a rich and varied menu of their choice. 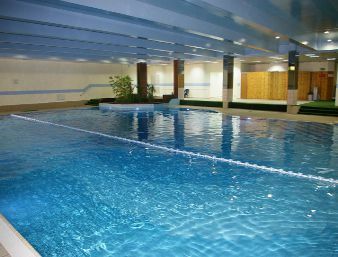 The hotel has a modern indoor and outdoor pool (outdoor pool is available from May to October), a contemporary newly renovated health club with dry/wet saunas, a gym, massage room and an experienced staff. 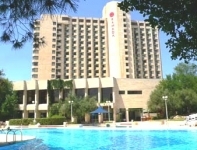 The Ramada Jerusalem Hotel has a parking lot with 300 free parking spaces for our guests.Our sophisticated internet center is open 24 hours a day, Free WI-FI. 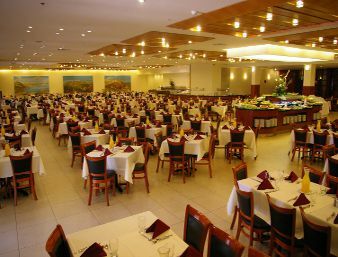 “David & Jonathan” – The two main dining rooms of the hotel where breakfast and dinner is served. An a-la-carte menu of dairy specialties from light snacks to a full meal. Open Sunday-Thursday from 12:00-11:30 pm and on Fridays from 12:00pm till 1 hour before the Sabbath comes in. Limited menu and service on Saturdays & Jewish Holidays (Lobby level). An Elegant a-la-carte menu serving delicious meat dishes and a full salad bar. Dinner: 6:30 pm – 11:30 pm. Closed on Friday, Saturday and Jewish Holidays (Lobby level). For guests of the hotel reserving a business suite or room, we provide free access to the business lounge. Our business lounge is open Sunday-Thursday from 7:00 am-10:00 pm and Friday and Jewish Holidays eve – 7:00 am-1:00 pm (closed on Saturdays). Rooms are designed with a contemporary eye for detail. Each room includes: bathrooms characterized by high standards of finish, desk, coffee / tea kit, coffee table, 32” LCD TV, safe, mini-fridge and hairdryer. Approximately 50% of the bathrooms in our deluxe rooms have a shower stall; all rooms are non smoking facing an urban view of Jerusalem.